Can Ambien Be Used to Treat Coma, Dystonia, and Brain Injuries? Ambien (sold as the generic zolpidem) is typically prescribed for the treatment of insomnia, but might it help other neurological disorders such as coma, persistent vegetative states, dystonia, Parkinson’s disease, stroke, dementia, and traumatic brain injuries? Case reports and small studies suggest the possibility of a benefit, and a review encourages further research into the medication’s role in unorthodox therapy. How Does Ambien Work on the Brain? Ambien works quickly, reaching peak concentration in the blood after 1.6 hours of consumption. It has no active metabolites. In less than 3 hours (with standard formulations ranging from 1.5 to 2.4 hours), the blood levels of Ambien are reduced by half. The controlled-release formulation (sold as Ambien CR) has a half-life of 1.5 to 4.5 hours. Zolpidem is excreted in the urine via the kidneys. Though the most widely prescribed sleep aid, Ambien may have relatively small impacts on sleep quality. When 10 mg is taken, it may reduce the time it takes to fall asleep by just 5 to 12 minutes, on average. It may reduce the average time spent awake during the night by an additional 25 minutes. How might it impact other disorders that affect the brain? Researchers from the University of Michigan have summarized the body of scientific literature on how zolpidem may impact other conditions that profoundly affect the brain, including coma, dystonia, stroke, and dementia. Some of their findings may be encouraging to those who are coping with profound injury and damage to the brain. Martin Bomalaski, MD, and his colleagues reviewed 2314 articles that have been published through March 20, 2015. After reviewing the abstracts, the full manuscripts were reviewed of 67 articles. Many of these reports included small trials and case reports, representing a low-level of clinical evidence. In fact, only 11 of the studies had more than 10 participants. There were only 9 randomized controlled trials, considered the gold standard of clinical research. This may impact the interpretation of the results and the applicability to larger populations. The researchers analyzed the articles for the types of disorders treated, dosage of zolpidem used, frequency of dosing, observed effects, and adverse side effects reported. What Improvements Were Noted With Ambien Treatment? There were a variety of symptoms that were assessed, ranging from difficulty speaking (aphasia), lack of responsiveness (apathy), and movement problems associated with lack of motor coordination. The responses were objectively measured with various validated symptom scales used to gauge coma, Parkinson’s disease, dystonia, and other problems. In general, zolpidem provided transient relief: most improvement, if observed, lasted only one to four hours. These improvements were repeatable, requiring frequent dosing due to the short half-life of the drug. Improvements were seen in motor, auditory, and verbal abilities. Some comatose or vegetative patients improved to a minimally conscious state, a few even tried to speak. There were also studies that demonstrated improvement in functional neuroimaging, suggesting a clear change in the brain’s chemistry and connections. The unique effects may be present in patients whose basal ganglia are injured, a part of the brain that helps to process information to coordinate a desired movement or motor response. The side effects were as might be expected: zolpidem is sedating. This can cause sleepiness and it was reported in 13 of the 551 patients who tried it. Since the symptoms are meant to be improved during wakefulness, this may be a major limitation of using the medication. As it additionally impacts memory formation, it might also be assumed that there could be impacts on short-term memory. 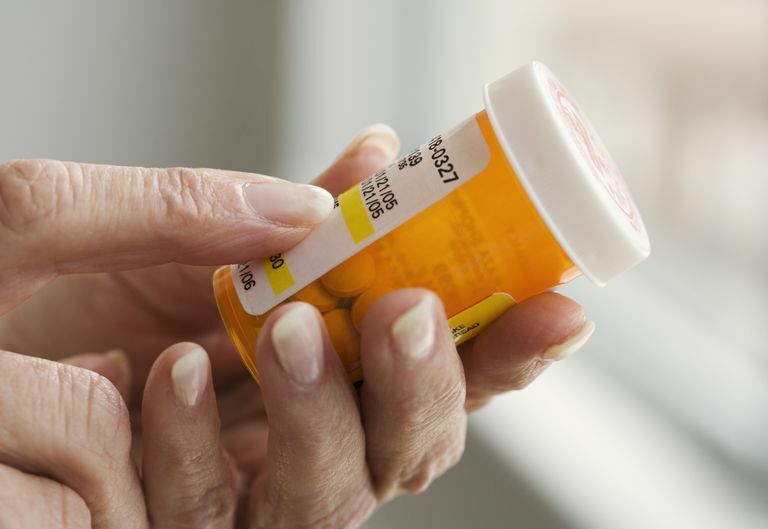 As the individuals who used the medication may have been significantly impaired at baseline, the full appreciation of side effects may be compromised. Unfortunately, zolpidem doesn’t work for everyone. In fact, only 5 to 7 percent of patients with disorders affecting consciousness responded to the drug. This means that up to 95 percent of the people who used it did not have a favorable improvement in their states of consciousness. Among those subjects with movement disorders, the response rates were higher, reaching 24 percent. Many did not respond to the drug, but with few options for treatment, zolpidem may still be an attractive option to families who are desperate for any chance at improvement. Though these case reports and small clinical trials may seem encouraging, it is best for families and friends of those with significant neurological impairment to interpret these results with a hefty dose of solemn pragmatism. It is most likely that zolpidem will not help the majority of patients who suffer from these profoundly disabling disorders. Nevertheless, there may be reason for hope: further research is warranted. It is not fully understood how zolpidem may improve these various conditions. It likely affects the balance of neurotransmitters and connections between various areas of the brain. In an analogy, if the brain is stuck in a state of dysfunction due to an imbalance of opposing forces, it may help to tip the struggle in a favorable direction. These mechanisms need to be clarified. Larger clinical research trials may help us to understand who with severe neurological impairment will benefit from the use of zolpidem—and why. Bomalaski, MN et al. “Zolpidem for the Treatment of Neurologic Disorders: A Systematic Review.” JAMA Neurol. Published online June 26, 2017. doi:10.1001/jamaneurol.2017.1133. Kilduff, TS and Mendelson, WB. “Hypnotic Medications: Mechanisms of Action and Pharmacologic Effects,” in Principles and Practices of Sleep Medicine. Edited by Kryger MH, Roth T, Dement WC. St. Louis, Missouri, Elsevier Saunders, 2017, p. 429. Miyazaki, Y et al. “Efficacy of Zolpidem for Dystonia: a Study Among Different Subtypes.” Front Neurol. 2012 Apr 17;3:58. Sateia, MJ et al. “Clinical Practice Guideline for the Pharmacologic Treatment of Chronic Insomnia in Adults: An American Academy of Sleep Medicine Clinical Practice Guideline.” Journal of Clinical Sleep Medicine. 2017;13(2)307-349. Sutton, JA and Clauss, RP. “A eviewr of the Evidence of Zolpidem Efficacy in Neurological Disability After Brain Damage Due to Stroke, Trauma and Hypoxia: A Justification of Further Clinical Trials.” Brain Inj. 2017;31(8):1019-1027.